Cause really, I picked "the blame lies with Voldemort only", but I still think other little factors were involved. But I'm pretty much with the latter of what I said above, which is too late because I'm discussing Snape already. Aww ****. Well, I don't really like James, I agree heartily with Lily, who called him and arrogant toe-rag. His strengths are probably loyalty and bravery, while his weaknesses are arrogance, only-child-itis, and all that those entail. I think he probably had a motive, be it that he wanted to score points with Lily for saving her oldest friend or that he wanted to save Remus from discovery/guilt. His loyalty and bravery, which are both in such large amounts that they almost overcome his other flaws. Both. He was deeply stupid to try and take on Lord Voldemort, but also very gallant to give up his life in the hopes that Lily and Harry would escape. Well, there's no way of knowing. I don't feel I know enough about James as a person to form an opinion on that. Probably he just felt he could trust Sirius more, so it's not really a question of him trusting Dumbledore. Yes and no. Sirius was a great comfort to Harry, but a lousy role-model. I couldn't begin to tell you. I don't feel JK gives us an adequate James background for such postulations. Neville's mum and dad- no idea. Probably their friendship made him feel threatened, which was displayed in his torture of Snape. They were good friends, James had a lot of money, what is there to interpret? I see it as just friendship--if one of my mates needed help with money, I'd do whatever I could. Probably a few months. I think it says that James was brave and dedicated to his cause....although that did result in his death. If James's loyalty was his greatest strength, it was also his greatest weakness as it led him to choose Sirius/Peter as SK instead of the logical, wiser choice of Dumbledore. I can understand why they didn't choose Dumbledore. According to Lily's letter to Sirius, this would have been around the same time they found out about DD's friendship with Grindelwald. It's the sort of thing that would have made them suspicious, at least. OTOH she doesn't really seem to put much credence in Bathilda's story, thinking the old lady's mind was going. After all, they've all known Dumbledore since they were eleven years old and I would expect them to put their experiences over the ravings of an old bat. Anyway, to me it all boiled down to James's loyalty to Sirius and Peter over a man that they respected, but probably weren't particularly close to. Last edited by snapes_witch; January 10th, 2010 at 1:17 am. OTOH she doesn't really seem to put much credence in Bathilda's story, thinking the old lady's mind was going. That's what I thought, as well. She acknowledged that Bathilda was an older lady and seemed to be taking most of her stories with a grain of salt, because she indicated that it was pretty difficult to believe. Still, I think that they knew Dumbledore enough to understand that he was the only man Voldemort ever feared, incredibly wise, etc. Plus, wasn't it widely known that Dumbledore had defeated Grindelwald and imprisoned him by then? snapes_witch and SwedishSkinJer nail it, I think. Lily's letter indicates that she puts little credence in Bathilda's story. Instead, she thinks Bathilda's mind is going. And of course, it was widely known that Dumbledore had defeated Grindelwald. Bathilda seems to be the only person old enough to remember that they had once been friends. Even if James and Lily had believed Bathilda's story, why would they refuse to allow Dumbledore to be secret keeper - when Dumbledore had later defeated Grindelwald and sent him to prison? Those actions would tend to argue for the notion that Dumbledore was so offended by the Dark Arts and by Grindelwald's crimes that he was willing to forsake an old friendship in order to defeat the Dark Wizard who was causing so much harm. So I really don't see Bathilda's stories - at least what we know of them - to give James and Lily any reason to disallow Dumbledore as the secret keeper. If she was telling James and Lily about Ariana, that might be another matter. But I don't think there's any evidence (is there?) that Bathilda went in to the other Dumbledore family secrets with the Potters. This. As I see it, JKR wasn't writing a bunch of filler in DH, she had a clear cut idea of what information she wanted to provide and included it for a reason. Dumbledore wasn't looking very trustworthy - it was fact he'd taken 5 years to confront Grindlewald and now someone who had no reason to lie about Dumbledore was supplying a basis for his behavior to the Potters. The wise decision was to not place your safety in the hands of a man who might have some kind of relationship or goal oriented notions about the new and improved dark lord just as he had had relative to the one in the past. Lily didn't want to believe it, just as Harry didn't want to believe it when he found out either. But just like her son, it was sufficient to engender doubt and I'd imagine that extended to James as well. Frankly, after DH, considering what happened to many people who did put their faith in Dumbledore, the Potters were justified in a decision not to go with him, imo. Moody, Amelia, Snape, Sirius, Harry, Ariana, Alberforth, George...the list goes on and on. Last edited by wickedwickedboy; January 10th, 2010 at 5:31 am. I think one of James' great weakness was love for Sirius, not his loyalty. His love for Sirius led James to refuse to even consider Dumbledore's warnings and refused to take his worry about a traitor IMO. I like how Love for another person is what makes people act in the whole series. People are motivated by Love of one kind or another, in one form or another. James, Sirius, Lily, Snape, Dumbledore, Bellatrix, Narcissa, Lucius are all motivated by love in one form or another and Voldemort acts because he does not know love at all. Last edited by The_Green_Woods; January 10th, 2010 at 5:24 am. Aren't we loyal to those we love? I see no distinction between love and loyalty with regard to James and Sirius. The wise decision was to not place your safety in the hands of a man who might have some kind of relationship or goal oriented notions about the new and improved dark lord just as he had had relative to the one in the past. But the Potters apparently thought the same thing about their old friend Remus Lupin who was a Werewolf just like Fenrir Greyback. They believed he was a spy with even less information than they had about Dumbledore - possibly just because he was a werewolf, a fact that never bothered James much when they were at Hogwarts. Aren't we loyal to those we love? I think love made James lose his reason; made him blind as far as Sirius was concerned. He was loyal to the Order and Remus too, for example. But that would not have made him hasty IMO and it would not have made him go with whatever they said. Even if they did not think Peter was the traitor, they should have known that he was the weakest link. If he were caught; he would either spill the secret if he was the SK or he would tell Voldemort who the SK was. Peter should have never been chosen and he should have never known who the SK was. He was Sirius' suggestion, another reason to think carefully. Sirius was known to be reckless. James and Lily never thought of it though IMO. This is no where in the canon, and I've dismissed it as a theory, so my thoughts were not based on this at all. They didn't dismiss anyone; they discussed them all and decided that Peter would be the least likely person Voldemort would approach. All of the others would fare better against Voldemort. It is the same reasoning used in placing Harry with Hagrid in 7 Potters. I don't think JKR meant to infer that all of the Order members including James and family were unintelligent, so I assume she believed it a good plan on the whole - as long as no one was a traitor of course. I don't see a problem with it. They were trying to combat the evil doings of Voldemort, Snape and Peter, the three that actually lacked judgment in behaving in a manner that got them threatened in the first place, imo. For my part, Lily and James did great in responding best they could to this terrible situation which had been thrust upon them. Respecting the fact that every reader sees things as they like, that is my take on it, which will not change. Last edited by wickedwickedboy; January 10th, 2010 at 11:12 am. The fact they believed Lupin was the spy in their midst is in the canon, when Sirius says it in PoA. He just doesn't explain why they believed he was a spy. If their distrust of Lupin wasn't about being a werewolf, then to me the only other answer was Lupin's inability to get a job, which meant he had to spend time with other Werewolves, and that's what they feared. But that's just one theory. Another theory is that Lupin might have questioned their distrust of Dumbledore or the fact that they were still cruising around when they were supposed to be hiding. That would be seen as disloyalty to the Marauders group on Lupin's part, whereas Peter appeared to be loyal when he was really a traitor. Dumbledore says it himself in DH: "They trusted the wrong people." Which means they didn't trust the right people. The fact that Lupin is not mentioned in Lily's letter as being around the summer before they died is also in the canon. In my opinion, they never discussed their plans with Lupin before they died. They didn't dismiss anyone; they discussed them all and decided that Peter would be the least likely person Voldemort would approach. That's an interesting perspective. 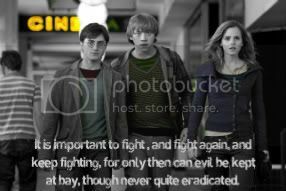 I like how the "love" thing ties into the themes of the HP series. But I wouldn't say that James's weakness was love for Sirius. I don't think James's trust in Sirius was misplaced at all. I would say that his love for Peter was the weakness. From what Sirius said, they all would have died to protect Peter, and they all simply expected that Peter would do the same for them. Still, even though I originally said that loyalty was James's greatest weakness (because I'm on this anti-blind-loyalty kick), I still voted in the poll that hindsight is 20/20. I don't like blaming the victim, especially when I have so little information. It's hard to know what would have happened, given what little we know about that time and the characters involved. Plenty of people have been fooled by double agents. Nor do I think that James didn't take Dumbledore's warning seriously-- the Potters were going under the Fidelius Charm (sp? ), afterall, which could have protected them suffinciently, in my opinion, if Sirius had been Secret Keeper. I think Dumbledore's warning made them second-think their original plan to have Sirius as there Secret Keeper-- and the irony is that I think they would have been fine if they had stuck to the original plan. I agree that there was some suspicion of Lupin. But I don't see that we ever learn why. And it is more evidence that the Potters did heed Dumbledore's warning, in my opinion. Dumbledore might say, "They trusted the wrong people." But I think this also points to the need to have good information. When only sketchy information is available, I think it natural to stick with those people you are familiar with and trust, and love. I never saw Dumbledore as one who imparted much information to other people, and I don't know why he would be any different with the Potters. They didn't dismiss anyone; they discussed them all and decided that Peter would be the least likely person Voldemort would approach. All of the others would fare better against Voldemort. It is the same reasoning used in placing Harry with Hagrid in 7 Potters. This makes sense to me, I think you are right about the reasoning behind using Peter. I think the plan-- like Moody's plan to use Hagrid in the 7 Potters-- was based upon Voldemort's personality and his dismissal of things he didn't consider powerful. Last edited by OldMotherCrow; January 10th, 2010 at 2:26 pm. PoA, Ch. 19, The Servant of Lord Voldemort, Pages 372-373, American, PB "Remus!" Pettigrew squeaked, turning to Lupin instead, writhing imploringly in front of him. "You don't believe this ... wouldn't Sirius have told you they'd changed the plan?" Therefore, it is canon that Sirius believed Lupin was the spy. It is not canon that James and Lily thought the same - that is only a theory. I think the theory has some grounds, but I do not think it is, overall, true. I do not think Sirius singled Remus out as the spy - he simply thought it was possible that Lupin was the spy and did not want to risk it. Why? Probably because he was suspicious of everyone at that point, given Voldemort's influence. As wickedwickedboy says, Sirius likely would have seen Lupin as one of the top wizards Voldemort would approach, and Sirius would, therefore, have some trepidations about Lupin. One reason he did not suspect Peter, in my opinion, was that Peter was vital to his plan succeeding. Therefore, Sirius was blinded of the possibility of Peter being the spy because he was desperate for Peter not to be the spy. Also, Sirius probably would have thought Peter was unlikely to be recruited by Voldemort - it would have purely been Peter's decision, and Sirius would not have believed one of his best friends would betray him and James willingly. How does this relate to James and Lily? I believe James trusted Sirius more than anyone else, hence why Sirius was the original Secret Keeper. If Sirius trusted or did not trust someone, I think James and Lily were prone to do the same. I wholeheartedly agree with this explanation. Not necessarily. That statement could equally mean that James and Lily trusted the right people while also trusting the wrong people. He was Sirius' suggestion, another reason to think carefully. Sirius was known to be reckless. James and Lily never thought of it though IMO. I think this is unfair. I do not think James and Lily would have doubted Sirius's suggestion at all just for Sirius being reckless. At times, Sirius was "reckless" and James knew it (though they were equally reckless, so they were probably blinded by that), but I do not think either James or Lily thought Sirius was being reckless in this case (nor was he, in my opinion). Sirius was not playing a joke on Snape at Hogwarts - he was dealing with James' and Lily's lives. Why would James and Lily doubt their best friend because the possibility that Sirius was being reckless? To me, that betrays all three of their characters. The way I see it, they suspected Lupin by way of elimination. I think James, even in the end, was not completely sure that Lupin was the spy. I think it was Sirius who believed it. He told James and James, unwillingly, agreed. I think Lupin spending lot of time with werewolves would also have fueled suspicions. I think the SK plan was sound. I believe there were systems in place to warn James and Lily if something went wrong. Unfortunately for them, it was rendered useless because Peter willingly sold them out. But I wouldn't say that James's weakness was love for Sirius. I don't think James's trust in Sirius was misplaced at all. I agree. James' trust in Sirius was not misplaced at all. In Sirius' suggestions most definitely. Sirius had a reckless side that made him do things without any thought about their consequences and this was something James could have taken into account when he was making important decisions IMO. I would say that his love for Peter was the weakness. 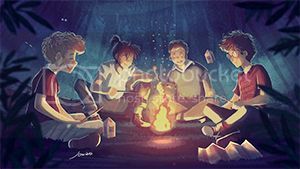 James was able to listen and agree to Sirius' suggestion about Remus being the traitor after moving with Remus for so long and after Remus forgave Sirius for the werewolf incident; I don't think it would take too much for James to suspect Peter. He went along because of Sirius. The responsibility was ultimately his and Lily's. Which was where James failed IMO. From what Sirius said, they all would have died to protect Peter, and they all simply expected that Peter would do the same for them. Still, even though I originally said that loyalty was James's greatest weakness (because I'm on this anti-blind-loyalty kick), I still voted in the poll that hindsight is 20/20. I don't like blaming the victim, especially when I have so little information. It's hard to know what would have happened, given what little we know about that time and the characters involved. Plenty of people have been fooled by double agents. How can you expect people to die for you just because you are prepared to die for them? Unless they offer and say so? Isn't such an expectation naive? I am not blaming James for Voldemort's actions, Peter's or anyone else. Let me clear. I am not blaming James for dying at Voldemort's hands; for Snape overhearing the Prophecy or Peter betraying the Potters. I am blaming James for what he did not do. What he should have done; he could have done IMO. That was James' mistake and I am only pointing out that part of it. Sirius was reckless; he acted thoughtlessly and carelessly; James knew that. I think decisions such as the SK switch and deciding who the traitor was should be based on factors other things than it was Sirius' opinion. Sirius in POA feels terrible just for this. He knows that it was he who suggested both the traitor and the switch, without any means of verifying the traitor and without thinking through the SK switch. Of course more than Sirius, the final responsibility lay with James and Lily; but I think James followed Sirius because he was Sirius, and he loved Sirius IMO. The way I see it, they suspected Lupin by way of elimination. Which was a poor way to determine who the traitor was IMO. How is it naive to expect one of your closest friends who is in the same top-secret crime-fighting organization as you to be willing to risk their life to help you? How is it naive to expect that same friend will do this by doing his duty as secret-keeper? The people in the OOTP are little different than Aurors in what they have to do. It wouldn't be any more unreasonable for James to expect Peter to do his job than it would for Harry to expect the same of his Aurors. I agree. The OOTP was very different from the aurors. Everyone in the OOTP new what they were up against and they knew that their lives could be risked by joining this society. Not only that, but when you become SK you need to know that there is a possibility that you'll die. Sirius definitely knew that and he was willing to die for Lily and James. I am guessing Remus was just the same. I think james just asumed that peter would die for him too because they were all a part of that foursome that cared enough about each other. That's where James went wrong because obviously Peter did not want to die for Lily and James. I agree. I don't think James's expectations of Peter were unreasonable under the circumstances. I just checked my copy of DH, and in TPT, Dumbledore says that the Potters put their trust in the wrong person. I think Dumbledore was referring to Sirius because at that time he thought Sirius was Secret Keeper, but Sirius wasn't, it was actually Peter. At any rate Dumbledore only singles out one person as untrustworthy, so I think MrSleepyHead is right, just because the Potters were mistaken in one person doesn't mean they weren't right about trusting everyone else.